Fancy boshing out all the Marvel movies in one single sitting ahead of the release of Avengers: Endgame next month? Thought so. But you probably know someone who would, so here are the details anyway. 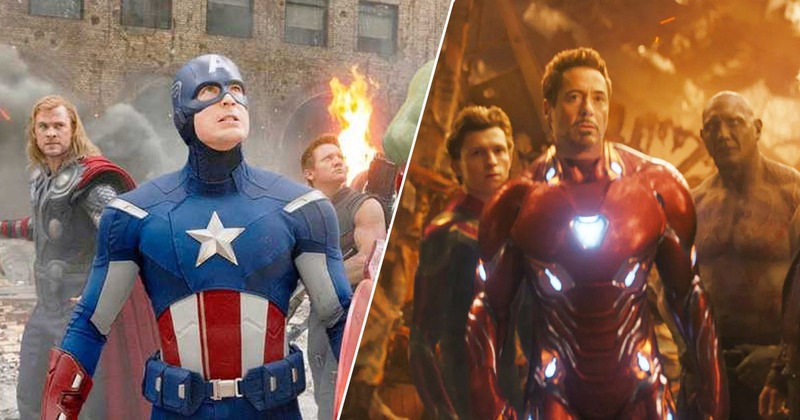 A TV company wants to pay someone $1,000 in cash to watch all 20 previously released Marvel Cinematic Universe (MCU) movies back-to-back, ahead of the mega-hyped Avengers: Endgame. The lucky candidate will also be bestowed a load of MCU goodies and merchandise, like a Captain America popcorn popper, a Thanos’ Infinity Gauntlet mug, and an Iron Man snuggie (me neither), as well as all the films on Blu-Ray. Obviously there’s a bit of a catch – they’re not throwing cash at just anyone lying on their sofa bingeing superhero films to block out real life, otherwise I’d be quids in. CableTV are looking for someone who knows their Red Skull from a red Skrull, their Cloak of Levitation from Loki Laufeyson, and their Ant-Man from… not Ant-Man. The lucky individual should also have ‘an active, outgoing social media personality’, as the company is looking for an enthusiastic, live-tweeter to share their marathon experience on the line. Also, you’ve got to be at least 18 years old and live in America, soz. If you’re worried that you’ll have to watch every single thing related to Marvel, like the early Spider-Man films or the Netflix series like Daredevil, luckily you don’t. Who’s got the time? CableTV also want you to write 200 words as to why they should pay you to watch all these (mostly) epic movies. But that shouldn’t be too hard, people get paid to write nonsense all the time! They’re also asking you to include your ‘level of Marvel expertise/fanaticism’. They don’t mention on what scale though, so maybe just say something like ‘100 Ragnaroks out of 100’ or something. Fancy it? Course you do you film-hungry little monster. You can apply here.